With our well equipped ticketing staffs, we are always in the position of reserving and issuing the tickets to any of the domestic region & international flight reservation service in & out from Vietnam.The tourism industry is relatively new in Vietnam, but it's not hard to see why people book flights to Vietnam. Rated one of the most beautiful countries in the world, Vietnam also maintains its status as one of the romantic countries thanks to its lush landscape. While some travelers book flights to Vietnam to experience the breadth of the culture and scenery, others travel to Vietnam for far more personal reasons. The three international airports in Vietnam are in Hanoi, Ho Chi Minh City and Danang, with more than 30 international airlines flying to and from Vietnam to destinations around the world. These three international airports also serve as the major hubs for domestic flights within Vietnam, with all other domestic flights connecting through one of these hubs. Vietnam Airlines, the state-owned airline, is the major carrier in Vietnam for domestic flights. A second domestic airline, Pacific Airlines, which is owned by Vietnam Airlines, also offers flights between Hanoi, HCMC and Danang. Fares for domestic flights are fixed and determined by distance, although there are some discount fares for advance purchase (with restrictions), late night flights, and student and senior fares. 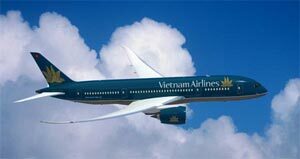 Vietnam Airlines and Pacific Airlines both offer similar levels of quality and safety, with Pacific Airlines offering slightly cheaper fares. 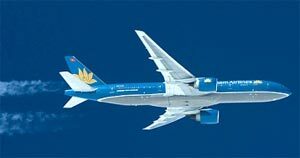 Neither Vietnam Airlines nor Pacific Airlines currently offer e-ticketing or online booking, although Vietnam Airlines has announced plans to start e-ticketing in early 2007. Silk Road Group help you to plan a comfortable holiday in Vietnam, we provide a hub of flight guide in our web site. The flight service features from the carrier information to one way and round trip air ticket to the major destinations of Vietnam and neighboring countries. You just browse though the sections below to get the flight suitable to your needs or contact us via live chat or telephone for instant support.